Styling swivel chair with hydraulic lockable pump, Roto base with Storest footrest. 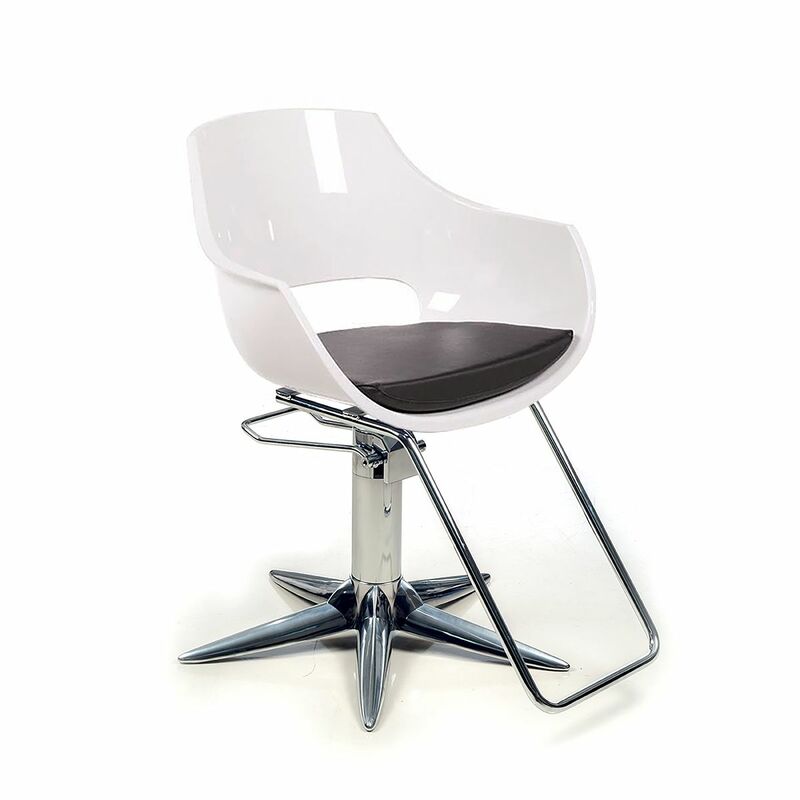 Chair material: White methacrylate. Removable black vinyl seat cushion included.